Chiropractic care was designed to manipulate different points in the body to alleviate common pains through the spine and other joints. 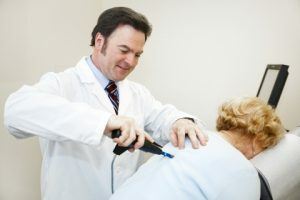 Until now, the way people have known chiropractic treatment is to be manually adjusted by a trained and skilled doctor. However, in the 21st century, a lot of things are changing. As technology advances, so do common chiropractic treatments. We, at Abarr Lake Chiropractic, want to let you experience the best care and practices known to date. We are evolving too, and our activator method may be the perfect chiropractic treatment for you. It is using a hand-held instrument to distribute gentle bursts of force to the spine. The speed of the device works much faster than hands ever could. Because this convenient hand-held device is so quick, the body has no time to react to what is being performed. This causes the body not to automatically tense up like it would in a manual adjustment setting. Because the muscles don’t tense, they are more likely to accept the treatment, which effectively increases its success rate. The activator method is pinpointed to a direct area so that only that part of the body, muscle, and joint are being manipulated with pressure. The rest of the body is untouched, and there is no bending of the joints. What’s a Session Look Like? Recipient lies face down and then the Chiropractor will decide which parts of the spine to target depending on what is impairing the patient. Pressure is applied to the affected joints and then a sudden burst similar to getting your reflexes tested. A follow-up plan will be determined between you and your Chiropractor to decide what is the best course of action. Typically, treatment will go 3-4 weeks. The activator method is a choice made between you and your chiropractor at Abarr Lake. We make sure that will design the best treatment designed for you, and only you. 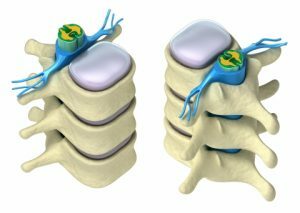 The activator is helpful in many cases, but there are still instances where we may believe a different course of chiropractic treatment is necessary. Check out all our information about the activator method and decide if it’s something you want to try. Our professional, friendly, and caring staff will make sure the right chiropractic treatment is designed for you.